Elijah - Anointing Oil 30 ml. - 1 fl.oz. 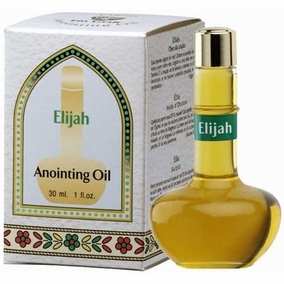 Product Title: Elijah - Anointing Oil 30 ml. - 1 fl.oz. Size: 30 ml. - 1 fl.oz. Anointing Oil created with virgin Galilee and Jerusalem olive oil, scented with biblical essences and flower extracts from the Holy Land. Shipped to you direct from here in Jerusalem.